Set in the centre of Sliema and just 200 metres from the seafront promenade and a 10-minute walk from a rocky beach, Bencini Apartments offer self-catering accommodation with free Wi-Fi. With a rooftop swimming pool, Shamrock Apartments offers self-catering accommodation with a balcony. Set in the centre of Bugibba, the beach is a 5-minute walk away. Apartments at the Shamrock include a kitchenette, dining area and sofa. Set on Balluta Bay, Highgate Apartments is halfway between St. Julians and Sliema in a quiet area. 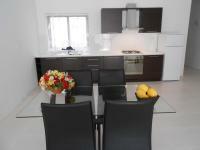 The air-conditioned apartments feature a kitchen and a balcony overlooking the Mediterranean Sea. Located 650 metres from Thomas Tower in Marsaskala, South Beach Apartments offers several apartments within the same building, 250 metres from the seaside. 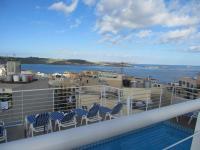 Offering free Wi-Fi, the property is 12 km from La Valletta.